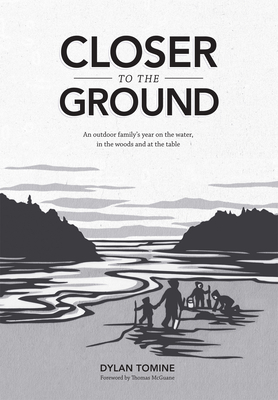 Closer to the Ground is the deeply personal story of a father learning to share his love of nature with his children, not through the indoor lens of words or pictures, but directly, palpably, by exploring the natural world as they forage, cook and eat from the woods and sea. With illustrations by Nikki McClure. This compelling, masterfully written tale follows Dylan Tomine and his family through four seasons as they hunt chanterelles, fish for salmon, dig clams and gather at the kitchen table, mouths watering, to enjoy the fruits of their labor. Closer to the Ground captures the beauty and surprise of the natural world--and the ways it teaches us how to live--with humor, gratitude and a nose for adventure as keen as a child's. It is a book filled with weather, natural history and many delicious meals. Dylan Tomine, formerly a fly fishing guide, is now a writer, conservation advocate, blueberry farmer and father, not necessarily in that order. His work has appeared in the "Flyfish Journal, "the "Drake," "Golfweek," the" New York Times" and numerous other publications. He lives with his family on an island in Puget Sound.